The Design Policy Lab is proud to announce its involvement as one of the coordinators for the initiative “Stand Up for Democracy”. 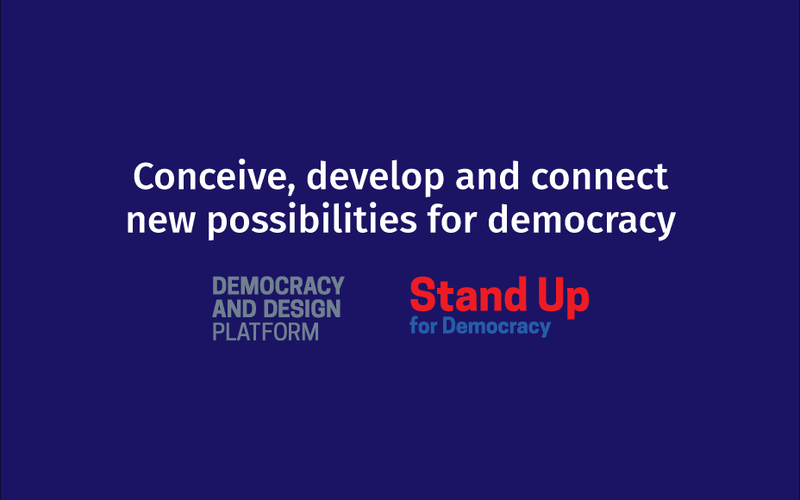 The initiative “Stand Up for Democracy” was born in March 2017 from the “Open Letter” written by professors Ezio Manzini and Victor Margolin, urging all designers to take action and respond to the crisis that democracy is undergoing. The purpose of the letter was to stimulate activities which, by discussing the relationship between democracy and design, clearly express in a positive and proactive way the concern in the design world over the attacks on democracy currently underway in several countries. DPL, together with other notable laboratories at Politecnico di Milano — Density Design and DESIS Network — has thus formed the Democracy and Design Platform, in order to gather, analyse and give visibility to initiatives that are directly or indirectly linked to the issues posed by “Stand Up for Democracy”. We invite you to read the Open Letter and submit either a “Statement” or an “Event”, which are respectively a personal contribution and an initiative that you’ve organized, in response/relation to the issues raised by the letter. You can visit the Democracy and Design Platform’s official website and have a look at all the contributions collected so far. We are extremely excited about our active role within this initiative, and strongly committed to bring democracy at the centre of the design community’s discourse.